The Sun rules Leo, is exalted in Aries, in detriment in Aquarius and fall in Libra. Vitality: Your vitality, your life force, and your independence. Men: The Sun speaks of all men and maleness, the ego and your male role models. This planet indicates the man in a woman’s chart. Self-expression: The Sun shows how you want to be seen, your drive, self-expression, heart and where you are proactive. When you know your Sun sign is not enough. The need to live with less stuff is a theme for Saturn in Capricorn. Austerity, as a part of life, is a step on the path of spiritual enlightenment. All of the consciousness-raising leaders, from Christ to Gandhi and the rest in-between have promoted living with less. During the period as Saturn transits Capricorn (December 2017 to December 2020) you will have the chance to master some austerity. You will learn how to take what you need, and use what you take, as you limit your consumerism. When my family and I came from Africa to Canada in 2002 was a culture shock for us. We felt we had arrived on another planet. There is so much more stuff available in Canada than Africa. More clothes, more food, more packaging and older people. The most waste I saw was in food. Shopping mall food courts that serve burgers and fries in polystyrene containers litter the city. (The food courts, not the packaging because Canada is very clean and there is virtually no litter whatsoever). Uneaten food left on a tray to be thrown away is a first world problem. You can take what you want, but eat what you take. This is the rule at the Circle ‘R’ Ranch camp my children went to in southern Ontario for many years. But, the biggest thing my kids learned at the camp was not to waste food. This was the message they heard loud and clear and for this, I thank the camp leaders. I believe it is important to not waste. After the kids came home they were on to me about food waste. They wanted me to prepare food and cook so we had no leftovers to be thrown away. Your carbon footprint is the amount of waste i.e. carbon that is expelled into the atmosphere, or the world, by how you personally live, eat and consume. In a broad view, most carbon naturally comes from animals and is exhaled as a gas, and fossil fuels that are released as coal is burnt for electricity generation and burning petrol as carbon is released from car exhausts. Fewer carbon emissions come from using the bus or public transport. Virtually no carbon is released from riding a bicycle. Walking is best. Saturn is the planet that rules restrictions. Saturn is in Capricorn its own sign and is a very strong influence on everyone now (2018-2020). Pluto is the planet that rules purging. Pluto is in Capricorn which is Saturn’s sign and has been for a while. In 2020 Saturn will catch up and conjoin Pluto in Capricorn. Jupiter will pass through Scorpio (2017-2018), then Sagittarius it’s own sign (2018-2019) and then join and conjoin for a triple conjunction or stellium with Saturn and Pluto (2020). In your chart find the house with Capricorn on the cusp. This area of life is ruled by Saturn which will help you limit yourself. In your chart find the house with Scorpio on the cusp. This house will be ruled by Pluto and shows where you can get rid of waste and unwanted stuff. As Jupiter passes through Scorpio (2017-2018) you can purge your life of huge amounts of stuff. And by stuff I mean junk, limiting beliefs and toxic people. To be a minimalist is to have less baggage in your life. To minimize your things and make them smaller and less. To live as a minimalist does not mean you are being punished but that you free yourself to do other things without worrying about all your stuff. Keep the good and beautiful thing in your life. Use your time on Earth to use your mind and consciousness. The animals have evolved so far but we as the human race have the larger Braun and consciousness that sets us apart. Spend your time loving your family, friends and your life. Use the Danish principle of hygge. Hygge refers to a pleasant and everyday form of togetherness and a highly valued experience of safety, equality, personal wholeness and a spontaneous social flow. This is one way to enjoy your life, your experience of being alive and not being bogged down by your stuff. The Moon is a planet that clings. If you have a prominent Moon you will keep things for nostalgia and as keepsakes. Other people may think your is junk but if something has a meaning you need to keep it. The South Node is a point where you bring things from your past. This suggests where you unconsciously hang onto outmoded ideas, principles and people. Limit the amount of stuff that you use on a daily basis. Project 333 is an initiative where you only wear 33 items of clothing for 3 months. You choose the items you want to wear and pack the rest of your clothes away. The clothes not to be worn can go in a suitcase under your bed of in your apartment lockup or in your basement. What to choose for your 33 pieces is the trick. To get rid of the excess stuff that you did not use during the three months which you did the project is the next step. A pair of socks counts as one item. A pair of shoes counts as one item. This is a slightly harder exercise in minimalism where you only keep 100 things in your life. Tech stuff – phones, computers, iPads, earbuds etc. Collections – old magazines, CD’s, art and knickknacks etc. The focus is on 100 personal items. The debate about what you use, like the frying pan to make breakfast, and whether or not it counts as one of you 100 items can go on. Guidelines are that there are some exclusions. your bed and TV and furniture etc. New Moon Wishing is a ritual you can practice every month that brings the meaning of each New Moon alive for you and relates it to your life. The next New Moon will be at a particular degree in a sign and will be in one of the twelve houses of your chart. By making wishes at the New Moon that correlate closely to your chart you can tap into the energy of the cosmos in a specific way. There is a New Moon about every twenty-nine days and that typically makes one New Moon each Month. But, each year there may be a month with two New Moons. For example, in August 2019 there will be two New Moons. The first New Moon is on the first of August and the second New Moon is on the thirtieth of August. Now and then there may be a zodiac sign with two New Moons. For example, in June 2020 there will be a New Moon at 0°21′ Cancer and then the next New Moon is at 28° 27′ Cancer in the following month of July. In this case there are two new Moons in one sign that of Cancer the Crab. 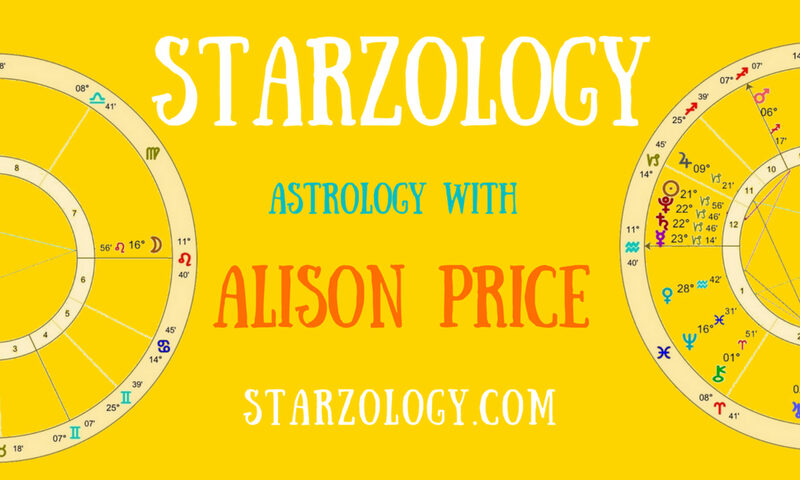 Check in the list below and see where the next New Moon will be in the zodiac. Then find the natal house in your chart where the position of the next New Moon will occur. Each month the New Moon will likely move to the next house of your chart but it does depend on your chart’s houses. If you have an intercepted sign it could skip one house altogether. If you have wide houses there could be two New Moon in the same house for two months in a row. New Moons that are also solar eclipses can be more energizing for that month’s wishing. Find the house in which the next New Moon will occur. Make three to five wishes in line with the meaning of you New Moon house. Write them on a nice piece of paper and have these wishes ready and prepared before the New Moon. Here are some suggested wishes for a New Moon in your natal chart houses. You can add more wishes and modify the ones you like. Let your inspiration guide you. At the moment of the New Moon place a candle in your window and say your wishes out loud. Then place the paper with your wishes on it on the windowsill underneath or next to the candle. If possible let the candle burn a while or even overnight. In your astrology journal note the date and the degree of the New Moon and make any notes later in that cycle if there was anything to mention. Say how and when your wishes came true. New Moon Wishing and the positions of each New Moon can (and should) be a part of your annual astrology predictions and year-end astrology review. You can get all the forecast information together for yourself towards the end of each year in November or December so you are all ready for the New Year. When you get a next year’s calendar, diary or journal that is the time to add the astrological information which really interests you. Professional astrologers typically have whole years of forecasting material ahead so they are fully prepared. I usually have all major transits and therefore New Moons listed for up to five years ahead. This practice is more about that I write horoscopes so far in advance for publications who need to be months and even years ahead. You can do one month at a time to start with and perhaps one day you too will look further ahead.